“Move on. 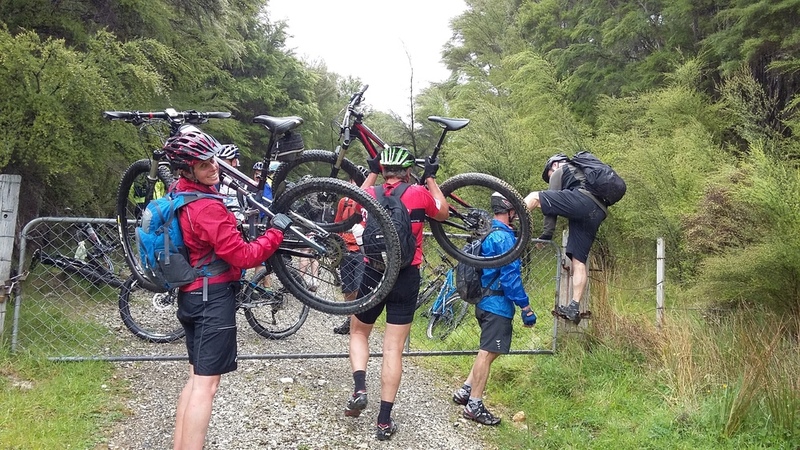 Nothing to see here” became the theme of the day for the rec ride on Sunday 29th November 2015. We left Blenheim enjoying another stunning morning, hit the cloud at Seddon and low cloud and drizzle by Ward. Not a good look for a ride that was supposed to get to around 1,000m asl. And so it was to be. We drove in the Blue Duck Rd, Seaward Valley for about three k before a big enough flat area was found to accommodate the vehicles. 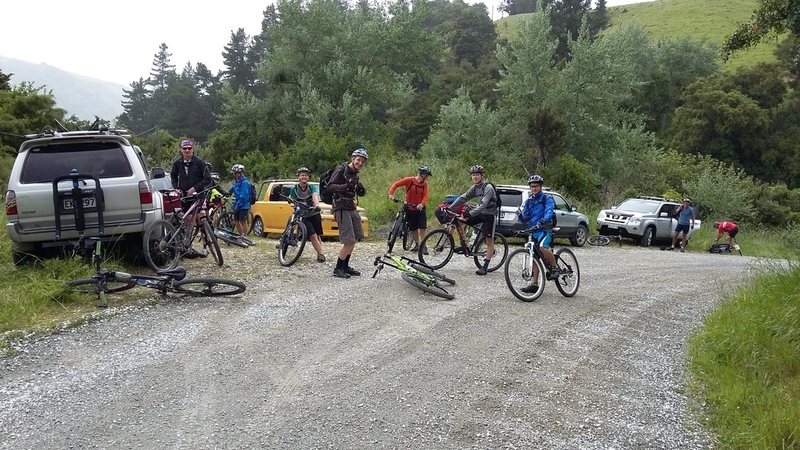 Fourteen riders started out and as we gained altitude so the drizzle started to thicken and the cloud ceiling got lower. After 8k at a 200m climb on the road we paid our tolls and the climb began in earnest on a series of five long zig zags. The gradient was very consistent, tough without being a real grind and the surface was good. By 2k the view disappeared, the temperature was dropping and the drizzle getting thicker. That trend continued for the next 2k after which the main Alexander ridge was gained. Enthusiasm for riding the last 3k along the ridge to the communication structures was now low if all we were to do was get wetter, colder and not to see the view. The ride will be there another day so it was about turn to enjoy the downhill back to the cars. Funny, but there was more uphill on the way home than downhill on the way in!! The techos had varying reports. Was generally agreed we had ridden around 23.5k but there was huge discrepancy in the altitude gain. One maintained that it just over 800m, two others maintained we had climbed over 1,600m. Either way it was a good day out on the bike with a great turn-out and the day was topped off with pies, coffee and cake at Ward. Thanks to the Pickering family for access.